Dapae and Rita came from the Buduburam Refugee Camp in Ghana, where they fled during the Liberian Civil War. They have always had a heart for widows and orphans. This is what they give their lives to. They are exceptional Hope Home parents. Dapae is a pastor in their church and Rita leads the worship and prayer. If only every child affected by the 14 years of civil wars could experience the love these parents provide. Frank and Linda Doiron from Kleefeld, Manitoba are the sponsors of this home, together with an organization they founded called FLOK (For the Love of Kids). 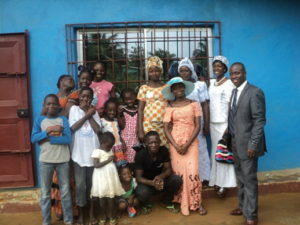 With their help, we brought this family back to Maryland, Liberia. It is a pleasure to work alongside this beautiful family. These children will grow up with confidence in the Lord and will be history makers wherever they go. 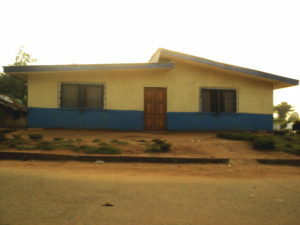 We named this Hope Home “A Light to All Nations”; indeed, this home is a “light house” in their community.